Anjem Choudary has been released from prison a little more than two years after being convicted of inviting support for Isis. The notorious hate preacher, whose network of Islamist fanatics includes Isis fighters and terror attackers, was released from Belmarsh prison in southeast London on Friday morning. A car carrying Choudary was seen leaving the jail escorted by unmarked police cars shortly after 4am. He was later seen outside a probation hostel in north London, where he is expected to be kept for several months, under intense supervision. Choudary smiled at photographers gathered outside and appeared to be using a mobile phone, while surrounded by police officers. His release, which came automatically halfway through his five-and-a-half-year sentence, has sparked outrage after the prisons minister admitted the preacher was still “genuinely dangerous”. Fiyaz Mughal, director of the Faith Matters counter-extremism group, said the prison term should have been fully served. 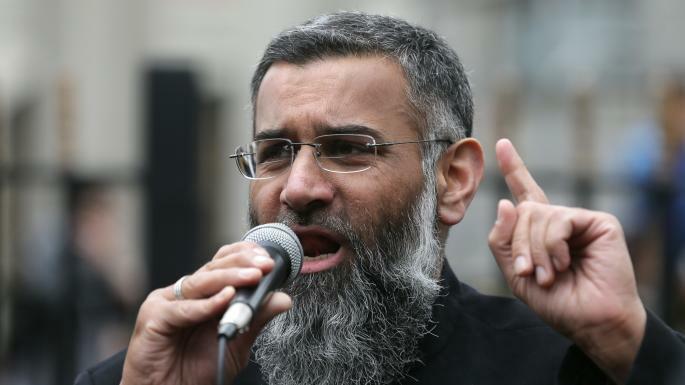 “Choudary’s early release sends out a message of weakness within our state,” he told The Independent. “It is a slap in the face of many people, including many Muslims who have been, for two decades, saying that action needed to be taken against him for the poisoning of young minds. “Choudary has been the inspiration for many young people who have then decided to take up violent jihad, and this man has been one of the nexus points of extremism in our country. The 51-year-old preacher was held at a separation unit for extremists at HMP Frankland for part of his sentence, in a bid to prevent him radicalising fellow inmates. The National Probation Service, police and MI5 have collaborated on a package of strict licence conditions aimed to stop Choudary continuing his previous activities. A lengthy list of conditions imposed upon him was expected to include electronic monitoring, heavily restricted internet access and communications, and bans on associating with fellow extremists, speaking publicly, holding meetings or entering exclusion zones. All of Choudary’s assets have been frozen as part of United Nations sanctions, and he will only be able to attend pre-agreed mosques, and live at an agreed address. He has also been made subject to an international travel ban, meaning he cannot leave the UK or enter any UN member states, and is on a Border Force watch index. Questioned about Choudary’s release in Brussels on Thursday, Theresa May said: “If and when any terrorist offender is released, well-rehearsed plans are put in place to keep the public safe.